There is a moment in ‘The Last Stand’ where the film’s villain is about to initiate part of his evil scheme and someone asks “what’s that?” He replies with flamboyant delivery “EXCITEMENT!” If he was attached to a lie detector it would have exploded because the new film from filmmaker Jee-woon Kim featuring Arnold Schwarzenegger is far from exhilarating. The aforementioned bad guy (Eduardo Noriega) – who is said to be “worse than Pablo Escobar” – escapes from the authorities with plans to seek refuge in Mexico. Standing in his way is the border town of Sommerton Junction and the resident sheriff Ray Owens (Schwarzenegger). Schwarzenegger makes his comeback after close to ten-years away from a leading film role and he appears like an action figurine that has spent way too much time melting under a magnifying glass. The former Mr Universe fails to make a big bang and in the first hour of the film, while the baddies hatch their plot, Arnie wears boat-shoes, sleeps (a lot) and enjoys the serenity on his front porch. It seems at times that the biggest threat may not be the drug lords but arthritis. Though, once the guns are unsheathed deep into finale of the film there is a little glimmer of the once great action star with a few well timed one-liners, a deadly aim and the ability to make the hired goons pay for their sins in the special Schwarzenegger way. The plot offers absolutely nothing to engage with and it’s as straightforward as a madman on the loose and a police force too inept to stop him. 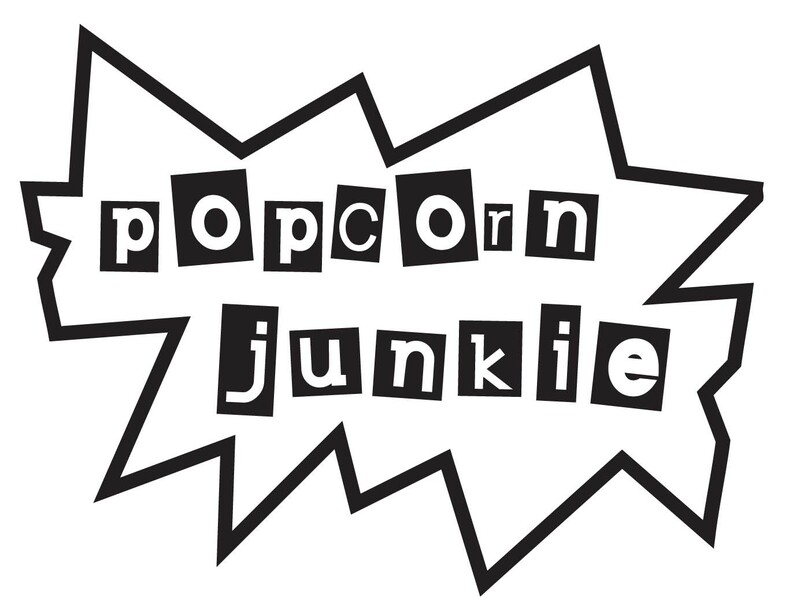 Due to poor scripting by Andrew Knauer (that was rewritten by Jeffrey Nachmanoff and George Nolfi) it’s mostly just a cat and mouse chase peppered with bland action sequences. Director Jee-woon Kim offers nothing more than flipped vehicles, henchmen who become Swiss cheese and gun-play that would make zombie Charlton Heston drool. Goofball comedic relief by a local gun nut played by Johnny Knoxville is embarrassing and is the kind of nonsensical character that revels in America’s obsession with armoury. It’s sad that for a country that has so many gun-related deaths a character like Knoxville’s would be even considered funny. He’s the kind of guy that would either shoot himself by accident or kill lots of innocent people in the process. The other police officer characters vary from the corporate detective type played to Forrest Whitaker and a small town cop played by *gulp* Luiz Guzman. Despite their differences in rank, they share a common trait of being completely incompetent. With all the technology at their disposal the police can’t even track a car travelling on an open road. Furthermore, it takes them forever to figure out the plan despite the fact that by simply looking at a map it’s clear the car is driving towards Mexico. The film is full of people who shouldn’t be working law enforcement or allowed near any kind of automatic weapon or sharp objects; the town of Sommerton Junction could do with serious idiot proofing. 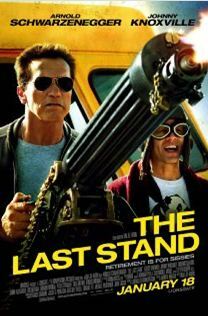 The gimmick of Schwarzenegger’s return to cinema wears off quickly and while his back catalogue doesn’t contribute much to high art, ‘The Last Stand’ is a bland bullet riddled excuse for an action flick. Stupid, but a fun, little action movie straight from Arnie’s filmography. Can’t say I didn’t have fun with that. Nice review.